Would you like to serve future generations of pilgrims? Let us work together to expand Ahimsa Goshala into a world class cow care sanctuary. 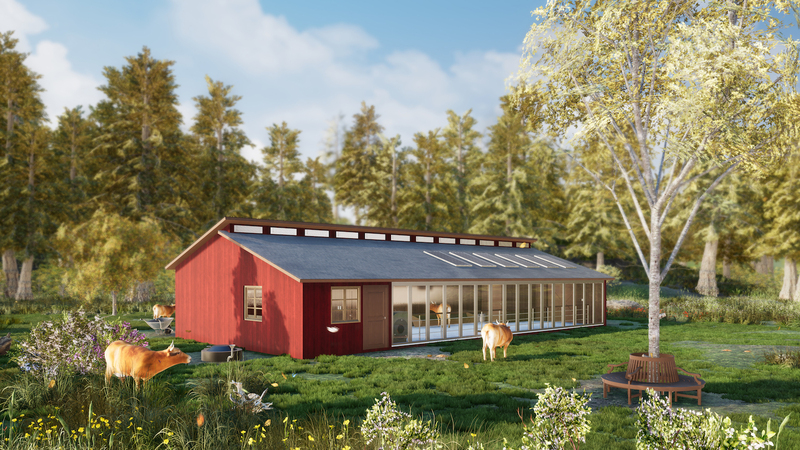 The design concept for the Eco Barn conforms to LEED standards in terms of net carbon footprint and use of green energy technologies. In other words we can keep the cows warm and comfortable the entire winter with very little energy input. 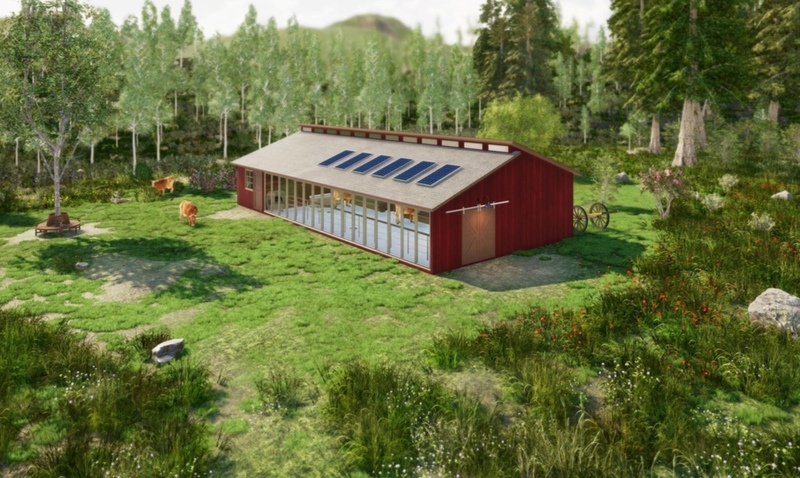 the barn employs 4 different alternative energy solutions for temperature regulation. Geo-thermal heating and cooling from buried pipes. Radiant floor heating using an outdoor furnace and wood from the surrounding forest. 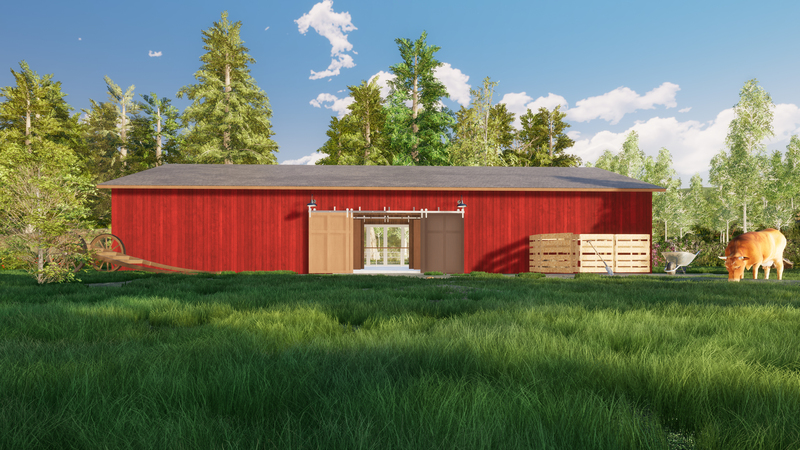 There is space for storing up to 600 bales of hay on the north side of the building which will serve as thermal mass for heat storage and insulation. 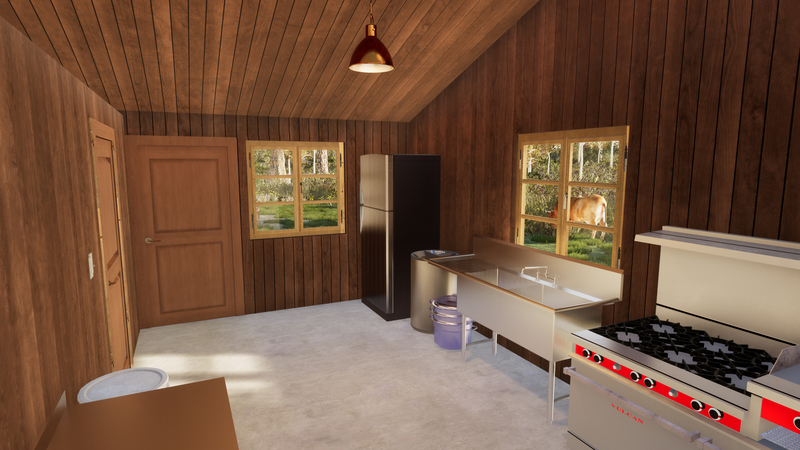 Another feature of the barn is an attached gober gas kitchen for processing milk and making ghee. 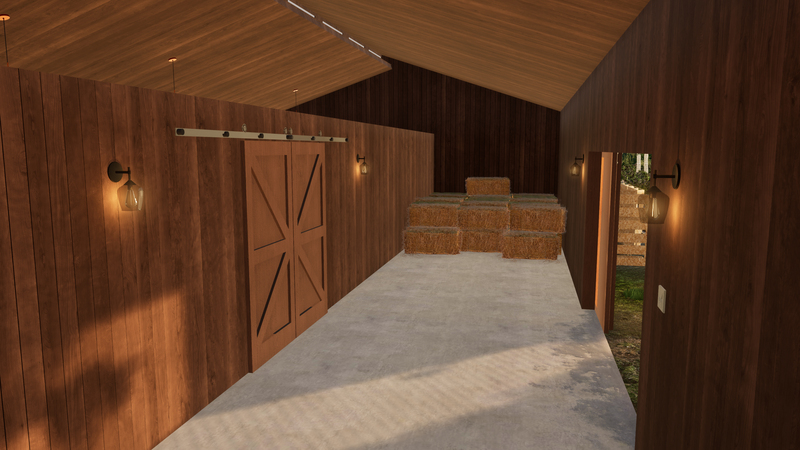 Total cost for the barn construction is estimated at $100,000. (see finances for detailed breakdown of costs) This barn will establish a first class cow protection program in Canada for many generations. Ghee is the gold currency for cow protection. Ahimsa Goshala is positioned to become a producer of world class A2 ahimsa ghee. Ghee suitable to be used in the worship of Lord Visnu. Worship which benefits the entire world. Such pure ghee will serve as a practical demonstration of the sacred relationship which exists between land, man, cow and God. We expect to complete the cycle of growing the grass, feeding the grass to the cow, accepting some of the milk from the cow, producing ghee and using that ghee to glorify God who made the growing of the grass possible in the first place. 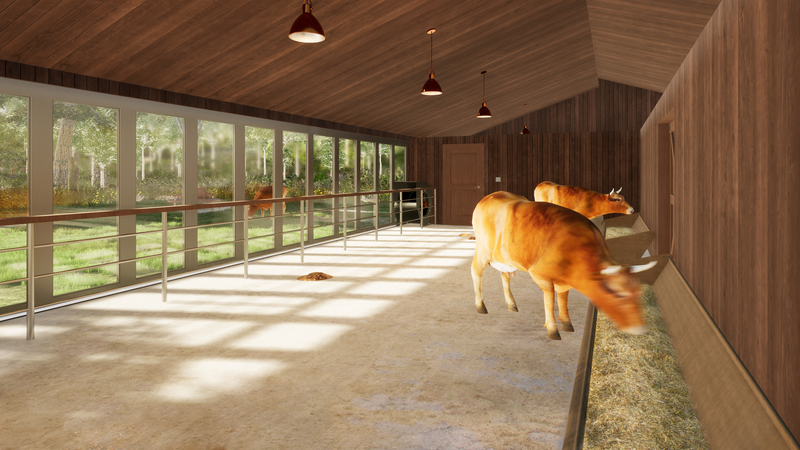 We wish to expand the herd to 25 cows, before we do that we have to prepare a home for the new cows. Just add capital for construction of the new "Eco Barn"
Click on the tabs at the top of this page to learn more details about the "Eco Barn"